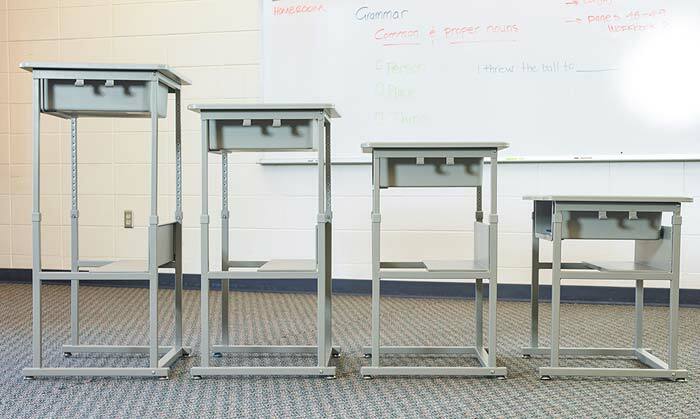 As classrooms evolve to improve student health and engagement, studies prove the benefits of sit/stand desks in aiding childhood health, lacking attention spans, and student collaboration. 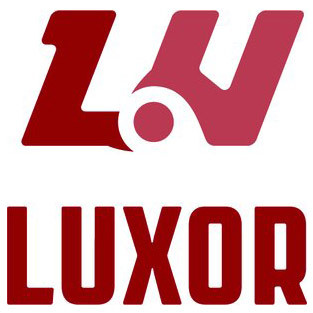 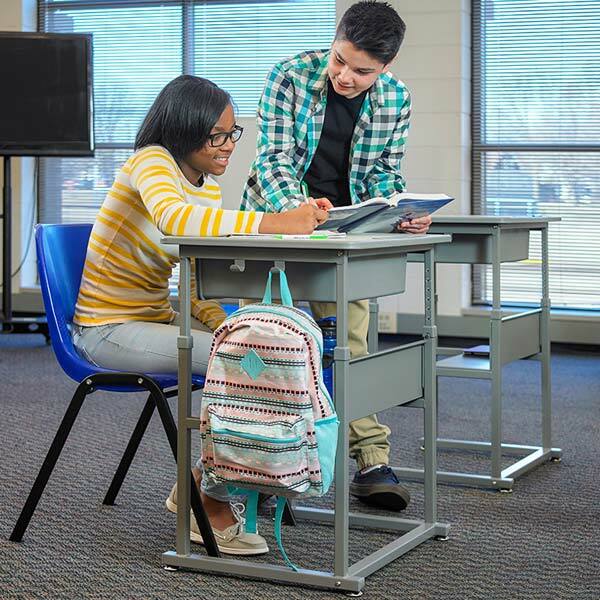 Luxor is joining today’s education efforts with an affordable sit/stand desk that adjusts between 24-1/2" to 42" to provide freedom to sit or stand in class. 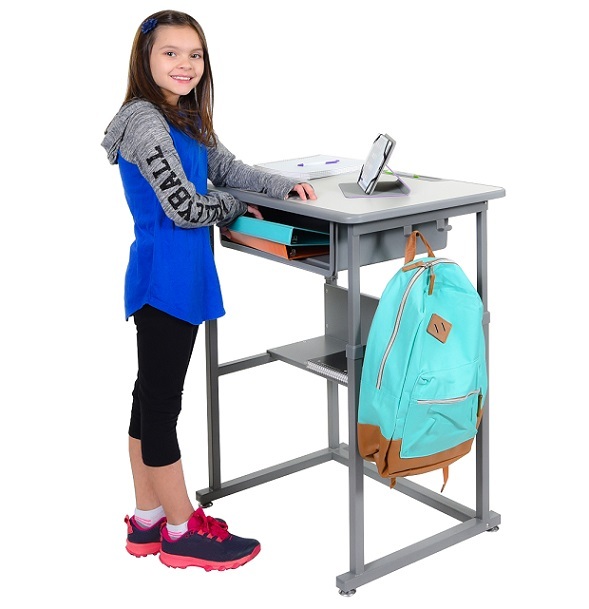 The desk aids classroom organization with convenient backpack hooks, a spacious open book box, and an open lower shelf. 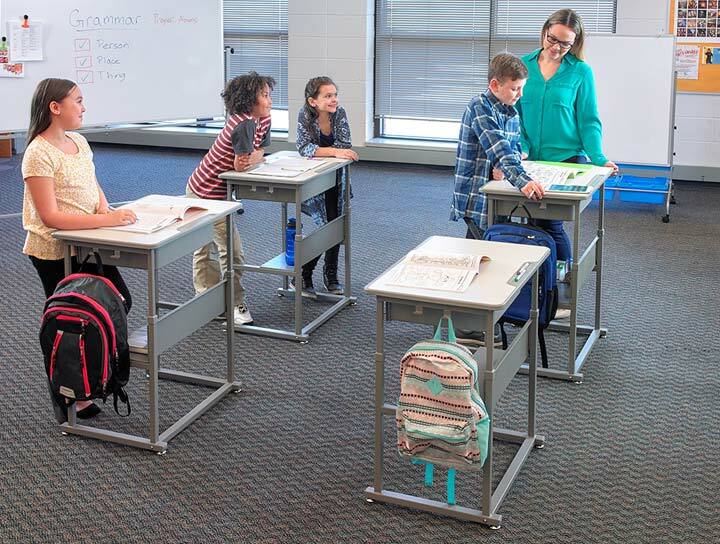 Enhance your school’s learning experience and move towards the future of standing desks and classroom ergonomics.